Pinterest has revealed plans to start displaying a small number of ‘related pins’ in users’ home feeds, as part of an ongoing effort to improve its discovery features and pin-based recommendations. 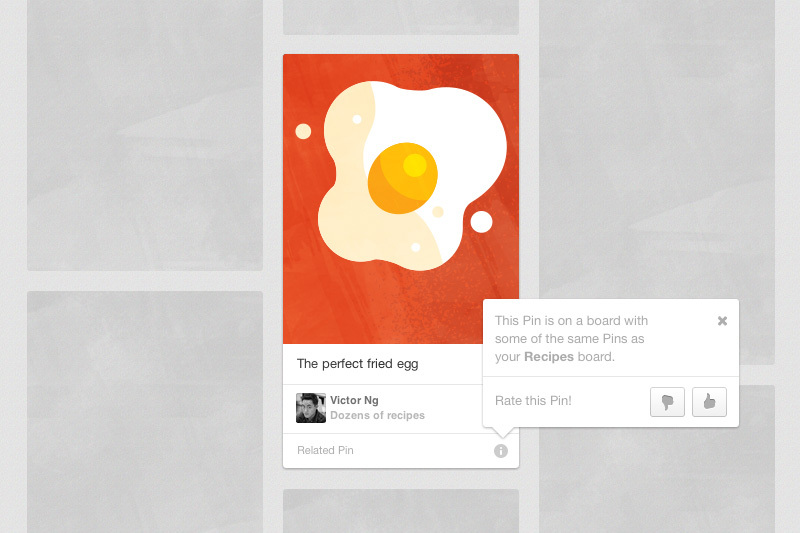 These pins will be similar or linked to posts that you’ve already saved or liked across Pinterest. So if you’ve created a pinboard for vintage movie posters, there’s a high chance that Pinterest will recommend some related pins that you haven’t stumbled across just yet. If you’re worried that your home feed could soon become overwhelmed with pins uploaded by complete strangers, fear not. Pinterest is emphasizing that it’ll be “starting slowly” with “just a few pins” to make sure that users are happy with the changes. If you’re unhappy with some of the recommendations, you can also rate one of these suggested pins by hitting the info icon, followed by the thumbs up or thumbs down symbol. Pinterest will then remove this pin from your feed and remember to avoid showing similar content in the future.